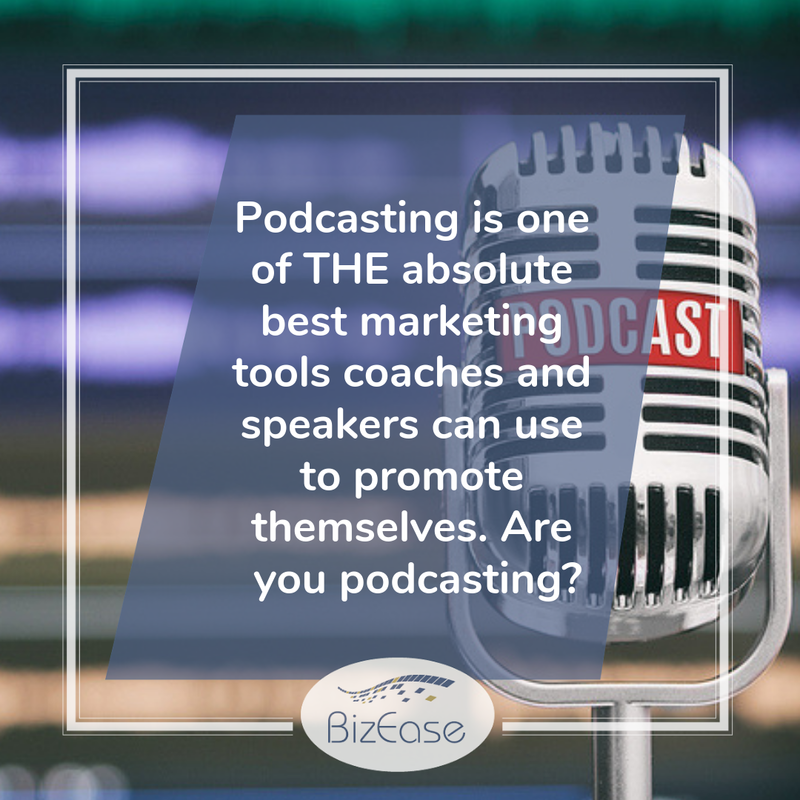 Podcasting is one of THE absolute best marketing tools coaches and speakers can use to promote themselves. Are you podcasting? If so, maybe you can add some advice in the comments of this article. And if not… I get it. When you’re busy running your business, sometimes your business can start running you! It’s hard to get to all the things we know we should be doing done, when we’re stuck doing the things we have to be doing. This is where a team comes in handy, but this isn’t an article about delegation. It’s an article about getting into the podcasting game. Here are steps to take to get you from here to the air. To prepare you for this new journey into podcasting, there are some things you’re going to need. Podcasting is a great way to get seen by your target audience! Recording and editing Software. For starters, you’ll need recording and editing software of some sort. You can find free resources online… check out Audacity. If you live in a large city, you may have a podcasting studio that you can use. Those are popping up all over the place, so reach out to your local business community and see if anyone has some leads. Headphones and microphone. While you’ll want to have some good headphones with a built in mic, there are some good entry level mics that produce good sound, such as ATR2100 USB and headphones. Or in a pinch, to see if podcasting is for you — a headset with built in mic. Most people will use headsets that get sub-par sound. An ATR2100 is about $69 — so affordable and you’ll get better sound. As I said, you’ll get naysayers for USB mics who say a mixer with a mic is best. Of course it is, but most of you probably won’t start there! So instead of going whole hog when you get started, find something good, yet affordable (like suggested above) to get started and upgrade if you need to along the way. Next, you need something to talk about. You might find it helpful to listen to different kinds of podcasts to get some inspiration and thoughts about how you want your own podcast to sound. What will you discuss? Will you interview people or just speak to the audience? Will you draw from blog posts you’ve written, or share stories and hot topics? Will you motivate your audience, give tips and advice, or just give them something to think about? I suggest you jot down a few different topics to start with that will be of interest to your audience. And always think about what your unique expertise can add to the conversation. With proper recording equipment and a bunch of great ideas, now it’s time to have a bit of fun. Designing your own podcast is really creating your very own talk show. You get to choose the intro and outro, come up with the perfect podcast name, and some cool cover art. You’ll also want to create a publishing schedule and stick to it! Some people like to create seasons with each episode having a topic connected to a common theme. Others choose to have standalone episodes every week or month. It’s up to you. Just be consistent. Don’t forget to write a description of your podcast, too. That will be required when you set up your podcast on iTunes and other places. I suggest you launch with at least three podcasts ready to go. Whenever you go to release your podcast on different platforms like Apple Podcasts (formerly referred to as iTunes in the podcasting space) and Google Play, you will need to know your RSS feed. This comes from your host. Hosting your podcast is where it gets a bit complicated. I find this article to explain all things podcast hosting very clearly. One of our favorites is Libsyn! Now you’re ready to go live with your podcast! Let your clients know where to find you by posting a link to your podcast across your social channels, in your newsletter, and in the signature block of your emails. Take out your marketing plan and update it to reflect this powerful new method of spreading word about your business. 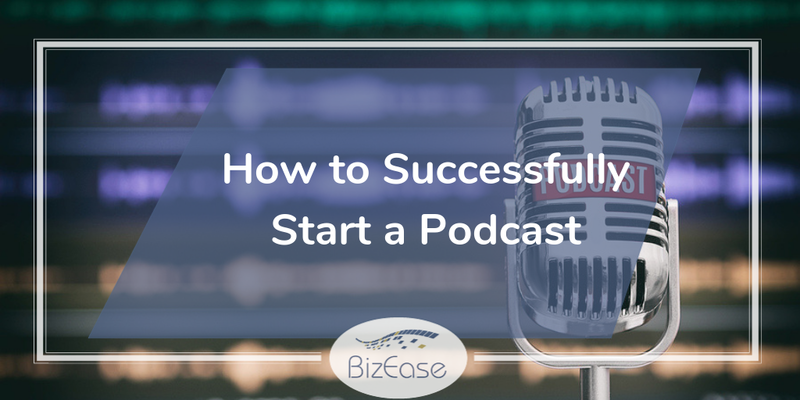 Do you have some tips to add about getting started with a podcast? Originally published at bizeasesupport.com on February 27, 2019.